Soft skills are a combination of personality and character traits, communication and language skills, emotional intelligence, and other interpersonal skills. While often overlooked through typical school programs, understanding and developing your soft skills can make a significant difference in launching a successful career. One of the many perks of Dalhousie University’s Corporate Residency MBA program is its Personal and Professional Effectiveness (PPE) curriculum. The PPE curriculum provides students with personalized soft skills modules and guidance to prepare them for success in the workplace. The PPE curriculum begins with modules that introduce self-management, engagement, and career management techniques. These include teaching students reflective practice, conflict resolution, and interview skills. 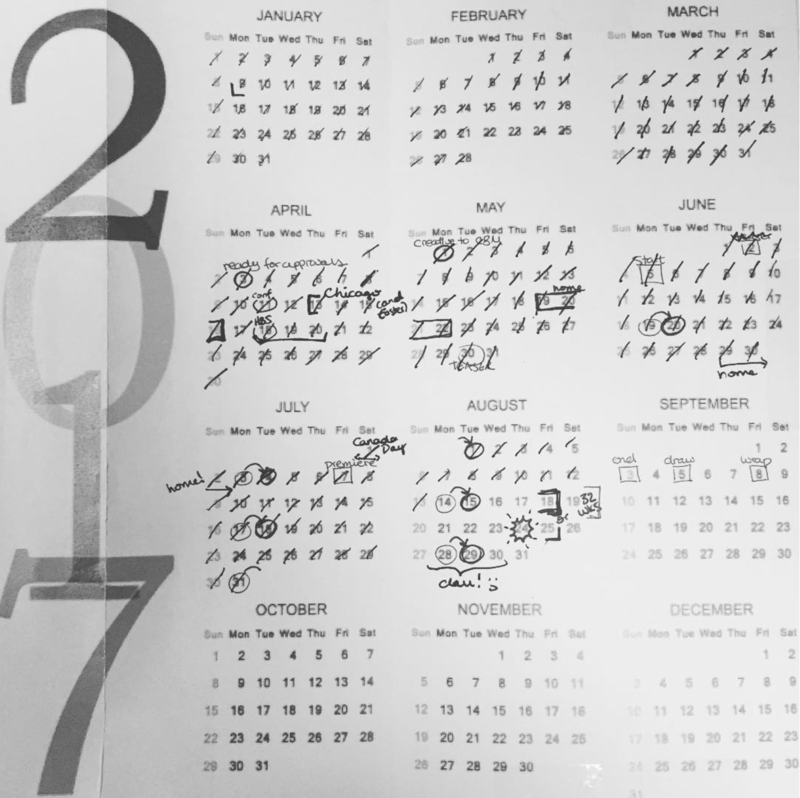 Learning how to set and follow-through on personal and professional goals is a main focus of the first several months. Another particular highlight is the dining etiquette session, which teaches specific tricks to navigating professional dining situations that we might encounter during our residency or post-grad job. After the corporate residency, the second year of PPE pulls the focus to skills that will support the post-grad job search and the development of long-term career success. Specific topics include navigating situations that require a robust understanding of creativity and complexity, as well as developing an understanding of different leadership approaches. A particular focus was placed on design thinking, which is a strategic approach to facilitate creative brainstorming and problem solving. Throughout its entirety, one of the large focuses of the PPE program is on networking. One of the keys to a successful career is the ability to build and maintain a strong network that can facilitate the job search but also provide support throughout your career. The PPE program provides with many networking opportunities both in the classroom and while on residency through mixer events, as well as employer and alumni panels. There is also an entire week devoted to jump-starting the residency application process, with specific events and opportunities for meeting potential employers while supporting the first round of job interviews. PPE is not a typical class. Rather than merely sitting through theory-based lectures, students engage with the material through interactive activities and class simulations. Whether the focus is on goal setting, design thinking, complex problem solving, or event networking, students are encouraged to take risks and try new approaches. 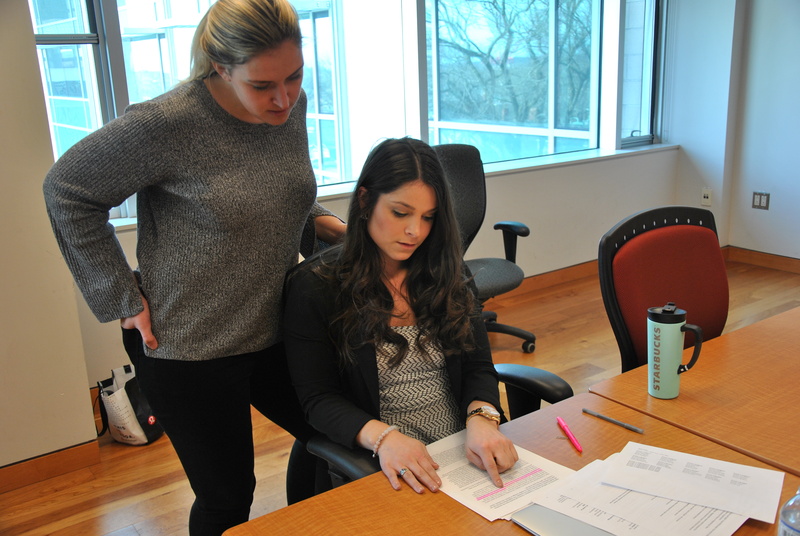 The PPE curriculum is a unique opportunity among MBA programs, allowing students to develop those necessary soft skills that can take them to the next level in launching their career. Learn more about the PPE curriculum at dal.ca, or read our breakdown of the Negotiations Integrative also offered through the CRMBA program. With the incoming class of 2020 beginning their program in a few short weeks, students are likely starting to feel the pressure of entering graduate school. Looking back at my time at Dalhousie, it’s hard to believe that it was already two years ago that I was experiencing my first day jitters. To help manage this, here are a few tips to ensure you start the program on the right foot. Your first day in a graduate program may seem quite intimidating at first glance. New requirements and expectations are set, such as a 70% minimum requirement for passing. In addition, a hectic intensive first summer awaits the class. While it is normal to feel some stress due to entering a new environment, be excited for the amazing opportunity ahead. The summer may seem overwhelming at first, but the intense schedule really works to bring the cohort together. Although you will be meeting your entire class on your first day, a great way to prepare prior to this is to reach out to your cohort ahead of time. Don’t be afraid to ask a future classmate to go for coffee. Better yet, make a post in your Facebook group inviting the class to go watch the game or grab a drink. Seeing some familiar faces will help shake the stress of your first few days. With the summer arriving in full bloom in the coming weeks, take some time to explore Dalhousie’s beautiful campus. While you will be familiarized with certain buildings quite quickly (such as the Rowe and the Student Union Building), feel free to explore other areas as well. The Wallace McCain Learning Commons has fantastic study rooms with large whiteboards, and the Killam Library has the “Grad Pad,” an area dedicated exclusively to graduate students. Don’t forget to also scout out nearby cafes and food joints. Don’t hesitate to get to know the members of the class of 2019. Although many are scattered across Canada on their current residencies, some members will be coming back to Halifax for orientation week to greet all of the program’s newcomers. Furthermore, they’re all available on social media. Feel free to reach out to them in order to get some insights on their first-year experiences, see if they have study tips or notes they are willing to share, or get some information on their residency. Likewise, don’t be afraid to reach out to alumni of the program. The CRMBA has a very close-knit alumni base, who are always happy to pass along advice from their own experiences. Interested in learning more about Dalhousie’s 22 month Corporate Residency MBA? Check out more information about the program. Class of 2018: Where are they going? It’s hard to believe that my fellow members of the class of 2018 and I have already finished our degree. It feels like just yesterday that I was meeting them all for the first time, unaware of the challenges that we would be overcoming and just how close we would become over the next 22 months. 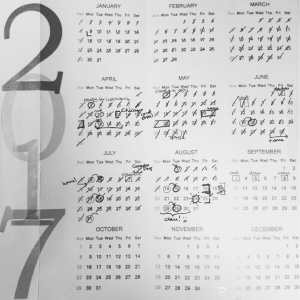 With April quickly coming to an end, and exams finished, we sat down with two members of the class of 2018 to discuss their post-graduation plans. What are your plans after our graduation? Priyanka: I’m excited to have accepted a position with Scotiabank US Corporate Banking in Houston, Texas. Beginning in July, I will be working with a team to perform credit analytics on their portfolio specializing in Oil and Gas. Alison: I will move to Copenhagen in September to join Novo Nordisk, a Danish pharmaceutical company. I have been selected as a Global Marketing Graduate, and as such, I will partake in a two-year program, with three international 8-month rotations. What are you most excited for in your new role? Priyanka: I am excited to learn more about corporate lending and about the oil & gas industry. I think both banking and the oil & gas industries are at a pivotal point where they need to make major changes to stay relevant. I am excited to be a part of the action and see how both industries evolve in the next decade. 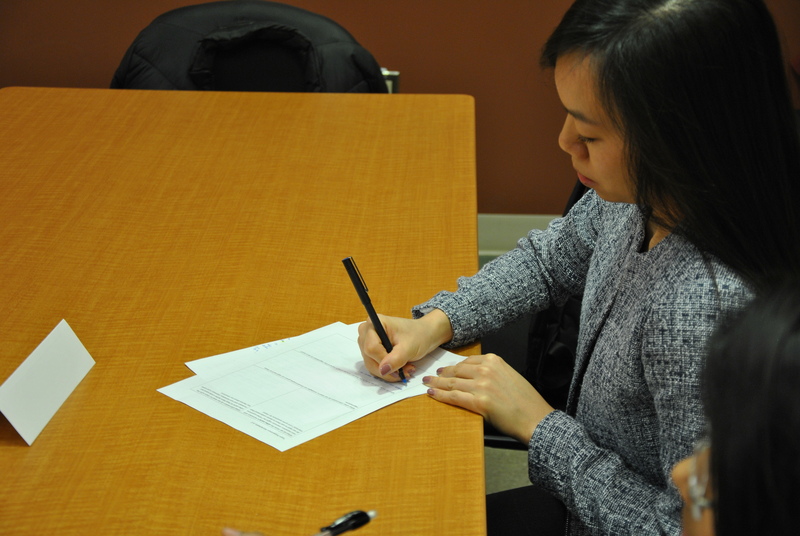 Alison: I am really excited to start my career, expand my network, and grow both personally and professionally. I am also excited about the opportunity to work abroad, and gain international experience. How did the Dalhousie Corporate Residency MBA help you get to this point? Priyanka: Two years ago, I was selling laser eye surgery part-time and felt very ‘stuck’. The CRMBA opened doors to major opportunities and taught me the tools to recognize and capitalize on them. Specifically, it helped put me on the path towards my corporate residency at Scotiabank in Toronto. There, using the skills I learned from the program, I worked hard and networked to ultimately be considered for a more focused position in Houston. Alison: I had a keen interest in the pharmaceutical industry, and I believe having the opportunity to work for Novartis for my corporate residency was very beneficial in applying for this position. This experience allowed me to gain broad industry exposure and insights on different functional disciplines; ultimately confirming my interest in this industry. The marketing courses in my MBA helped solidify the fact that I wanted to pursue a marketing focus, and taking courses such as International Business and Intercultural and International Management helped prepare me to think globally and for working abroad. Priyanka: This is such a hard question! I fully expect to remain in banking in the next five years. I used to think banking was boring, but now I realize it is a great way to gain interesting, relevant, and diverse business experience. I would like to remain working in Capital Markets and test out Debt Capital Markets or Equity Capital Markets. I would be happy to be in Houston, New York, Calgary, Toronto, or Halifax, and am open opportunities wherever they may come up. Alison: In 5 years I see myself working in Europe, within the pharmaceutical industry. I hope have taken on increasingly challenging roles, and to be leading a dynamic and motivated team. Congratulations to all of the class of 2018, and best of luck in your future endeavors! Learn more about Dalhousie’s MBA programs, and the benefits of a corporate residency. Looking to take the next step in your career? Whether you wish to pivot from your existing area of expertise, accelerate your climb up the corporate ladder, or acquire new skills to become a more effective leader, Dalhousie’s Rowe School of Business has your back. Gain work experience and personalized soft-skills coaching during the 2-year Corporate Residency MBA: perfect for recent graduates of any discipline. Alternatively, consider the more flexible Blended/Online MBA specializing in Financial Services or Leadership; featuring online classrooms in addition to face-to-face intensives, these programs are designed for those with a minimum 5 years professional experience and can be completed in 2-7 years while continuing to work full-time. Unsure which program is best for you? Keep reading! The CRMBA is about more than the residency, though. This 22-month program offers courses in the areas of finance, international business, marketing, business & government, innovation & technology, management, and enterprise analytics. Additionally, students develop soft skills through Personal and Professional Effectiveness classes and career coaching from Management Career Services. The unique Management Without Borders class also offers students an opportunity to complete a real-life community project with other Masters students. The CRMBA is ideal for recent graduates from all disciplines who wish to gain real-world work experience in order to launch their careers. Think this program is for you? Learn more about the Corporate Residency MBA at dal.ca. If a full-time program isn’t what you’re looking for, consider the Blended/Online MBA. The flexible time frame allows students to take anywhere from 2.5 to 7 years to complete, allowing for adjustments based on other lifestyle and professional responsibilities. While this program is primarily hosted online, 3.5 to 4.5 day face-to-face intensives available in major Canadian cities also take place at the end of each term. The MBA Financial Services program provides students with four additional finance-based classes: Investments & Money Management, Global Markets & Institutions, Risk Management for Financial Institutions, and Legal Aspects of Business. The MBA Leadership program, on the other hand, offers four additional leadership classes: Leading for Success, Leading in Complexity, Leading in Context, and Leading Professionally. The Blended/Online MBA is ideal for mid-career professionals who prefer to continue working throughout their graduate degree. Visit dal.ca to learn more about the MBA Financial Services and MBA Leadership programs. networking [net-wurk-ng] : Creating a group of acquaintances and associates and keeping it active through regular communication for mutual benefit. You’ve heard the term before. After all, networking can surely be counted among the greatest business buzzwords. No matter the industry, there is a high likelihood that the act of creating and maintaining a network is a necessary tool for developing your career. It is hardly a surprise, then, that networking is such a hot topic for students of the Corporate Residency MBA program. As such, we have compiled a list of top networking tips that may help you develop your own connections. Many networking opportunities can actually occur outside of formal events: consider informational interviews, guest speakers, or even chance meetings on the street. Have your elevator pitch and business cards ready for any such interaction. You never know who might become a valuable addition to your network. Consider ahead of time what you really want to get out of networking opportunities. Do you wish to meet professionals from a particular industry? Perhaps learn more about a particular skill? Do you have a specific individual that you wish to meet? Don’t be afraid to be strategic; determining your goals will make your networking that much more effective. Given the number of interactions that take place at a networking event, it can be difficult to stand out. Aim to have meaningful and authentic conversations to leave a more memorable impression. Again, be strategic: know who you wish to speak with, what questions you wish to ask, and what information you wish to impart. People love to talk about themselves. Don’t bombard a new connection with too many facts about yourself; instead, learn more about them by asking questions. This is a great opportunity to gain knowledge about their job, industry, and accomplishments. Even better, your interest will be noticed. Handing out your own cards is valuable, of course, but here’s another tip: in a moment of quiet after making a new connection, jot down some notes on the card they just gave you. This will allow you to be more specific when following up. Alcohol is frequently paired with networking events, which makes it especially important to be deliberate about your consumption. While one drink may help ease your nerves, increased consumption can significantly decrease your inhibitions and professionalism. It should go without saying but please, drink responsibly. Networking has become an essential skill. While meeting new people can be difficult for the more introverted, pushing yourself outside your comfort zone will allow you to meet valuable contacts. The more often you practice your networking, the easier it will become. At the end of the day, you’ll thank yourself for striking up those conversations. Pack your business suit, dancing shoes, and Dalhousie scarf: it’s time for an MBA Games recap! 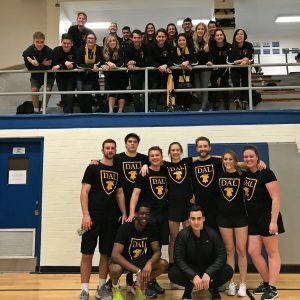 Five days into the new year, 600 MBA candidates from 17 Canadian business schools travelled to the nation’s capital to prove their athletic and academic acumen. At stake: the Schulich Cup for Academics, the Tzitzi Watul award for Spirit, and the newly introduced Telfer Cup for Athletics. This year, Dalhousie’s Team Rowe was led by co-captains Lauren Murray and Paul Best (both Class of 2018). Lauren discusses a main challenge for the team this year: travelling through a fierce East Coast storm to reach the games. “We managed to get the whole team there even with the storm on our major travel days,” she says. Despite late arrivals, the team managed to place first in the opening ceremonies dance event; this helped bring Dalhousie to an overall third place in the Spirit category. Meanwhile, the Basketball team pushed through back-to-back games to take the championship, to the thrill of both the players and the rest of Team Rowe. Team Rowe celebrates the Basketball win! Indeed, More Together was a very apt theme for this year’s MBA Games. In addition to the different competition events, participating schools came together to raise a combined $45,000 for the Moose Hide Campaign. First impressions are incredibly important. After all, you’ll never get a second chance to make a first impression with someone. When in doubt, ask your manager what the dress expectations are, and consider going slightly above this. Remember: Better to be overdressed than underdressed. This might seem like a no-brainer, but make sure you know where you’re going. Prior to your first day, take a trip to the neighbourhood where your office building or workplace is located. You can also use this opportunity to scope out the parking lot and find the right door to enter. If you aren’t physically able to make the trip beforehand, try exploring the area on Google Maps’ street view. This will allow you to avoid any oversights, and will help to calm the nerves. The last thing you want to have happen on your first day is to plan your trip to work perfectly, only to be surprised with a delay due to traffic. Depending on the length of your commute, plan on arriving around a half hour early. Arriving early will make a great impression. If you’ve budgeted too much extra time, simply grab a coffee nearby or read the paper while you wait. While buying coffee OUT can be an easy habit to fall into, this small cost will add up quickly. Buying a $3 coffee every day totals to over $1,000 in a year. Buying your lunch every work day is even more expensive, easily costing over $2,500 annually. Consider packing your meals and beverages to cut down on costs and you could save a few thousand dollars each year. It’s natural to feel nervous about how you’ll perform in your new job; remember that you got hired for a reason. Your qualifications and experiences up until this point have lead you here, and your employer has seen potential in you. Have confidence in your abilities, and don’t be afraid to volunteer to help out if the opportunity arises. This residency is a chance not only to practice what you know, but also to learn new skills. Many residency partners have had students from previous cohorts in the past. Don’t be shy to reach out to these individuals, as they are more than happy to help and can prove to be invaluable resources. Whether you are looking for quick tips for success in the corporate environment or insights on what the company culture will be like, your fellow students and alumni have been in your shoes and will have plenty of insights to offer. Likewise, once you begin your residency, don’t be afraid to direct questions to your co-workers and managers. If you’re worried that you’re asking too many questions, consider making a list to ask during a status meeting with your manager. While it is perfectly acceptable and expected to ask for help, you should also be prepared. Have some potential solutions at hand when requesting assistance to demonstrate that you’re organized and resourceful. During your time with your employer organization, there will be times where you have additional capacity. Take advantage of this time to further your growth by taking on additional tasks. Ask your manager and coworkers if there is anything else that you could provide them assistance with. If you’ve still got additional time, find ways to create value for your organization such as by helping to organize shared drives or creating status documents for projects. Many organizations also have volunteer programs, which could provide an extra chance to add value to the company. Your two primary goals heading into your residency should be to provide value to your organization and to achieve personal growth. While your value creation should come somewhat naturally with the guidance of your employer, your personal growth is in your own hands. Before starting, take some time to reflect on what skills and abilities you’re hoping to gain from this experience. Then, once you’re on your residency, keep an eye out for opportunities to assist with tasks that will help you achieve these skills. Be sure to take some time every couple of weeks to evaluate your progress and to set new goals when necessary. As you get in the hustle and bustle of your residency, networking can find itself pushed to the backburner. To help avoid this, give yourself a concrete target to hit, such as going for a networking coffee or informational interview once a week or twice a month. This will provide you with a tangible objective to help keep this a priority. Lunch times and company events also provide an easy opportunity to network with coworkers. In addition, keep an eye out for a potential mentor who can provide you with guidance, introduce you to useful contacts, and help shape your networking strategy. Don’t forget, you are at the start of a great opportunity. If you’re not enthusiastic about your presence at the company, why should anyone else be? Regardless of whether your residency represents the chance to dip your toes in a new industry or the first step towards accomplishing your dream, this is an opportunity to kickstart your future career and gain invaluable experience that you’ll leverage down the line. Be excited, have fun, and good luck! Co-op versus Residency: What’s the Difference? As a newly hired residency student, I ended up making the distinction between co-op and residency positions a lot. This wasn’t necessarily a bad thing: one could even argue that the minor correction was an incredibly useful icebreaker. I got a chance to explain my role and responsibilities, my areas of expertise, and the uniqueness of Dal’s MBA Corporate Residency program. So, what are some differences between a co-op and a residency? I’m so glad you asked! Eight months go by FAST. First and foremost is the length. Most co-op programs last an average of 3 months, providing students with a short glimpse at the company’s inner workings. 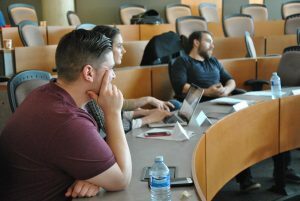 Dal’s corporate residency is an 8-month experience, which allows MBA students to dive deeper into their roles. In the course of my 8-month marketing position as a Digital Business Analyst at Panasonic Canada Inc. in Mississauga, Ontario, I had the opportunity to take a project from conception to execution. Shorter co-ops might allow students to work on numerous projects in various stages of development; however, the experience of following a single project through every stage gave me a unique insight. I can now better understand how much effort, time, and resources are needed to prepare a marketing campaign from start to finish. This doesn’t mean I only worked on a single project, though. I still received the full experience of dipping into numerous other campaigns throughout the residency. Instead, I was expected to analyze situations, deliver insights, and produce truly valuable work. By the end of the residency, I was managing plenty of projects and responsibilities in my own right. You can never have too many networking opportunities, especially as an MBA student. Residencies offer plenty of these opportunities, whether this involves building relationships with the company’s higher-ups or collaborating on projects with teams from other organizations or even hobnobbing at fancy business events. Just being at the company for a full eight months exposed me to many more of these opportunities. It also provided me the time to fully break out of my introvert-shell to build meaningful relationships with company mentors and peers. While I would have still met many of these people during a shorter co-op, the longer period of time deepened these relationships. The corporate residency was supported by a number of unique features to help guide students’ learning experiences over the eight months. A goal setting exercise at the start of the residency really aided me in making the most of my residency; entering the work situation with these goals in mind helped me to tackle known weak areas and build upon strengths in a more strategic manner. Two evaluations also provided useful feedback from my bosses and coworkers. The Midterm Evaluation by my boss provided useful information on my performance, allowing me to adjust work habits as needed for the final four months. A 360 Performance Evaluation by both bosses and coworkers took place at the end of the residency, and provided further insights that I can continue to build upon during the remainder of my degree. Meagan Bell is a member of Dal’s MBA Class of 2018, where she focuses on creative marketing and strategy. Meagan’s academic passions served her well during her corporate residency at Panasonic Canada Inc. this summer, where she worked on various digital marketing projects.